Beyond providing data for all 32 NFL teams, PFF also supports network broadcasters with game-preview packets that are used to enhance the in-game experience for fans and viewers. This Bears-Dolphins preview features the same information our broadcast partners use for team research and in-game production. 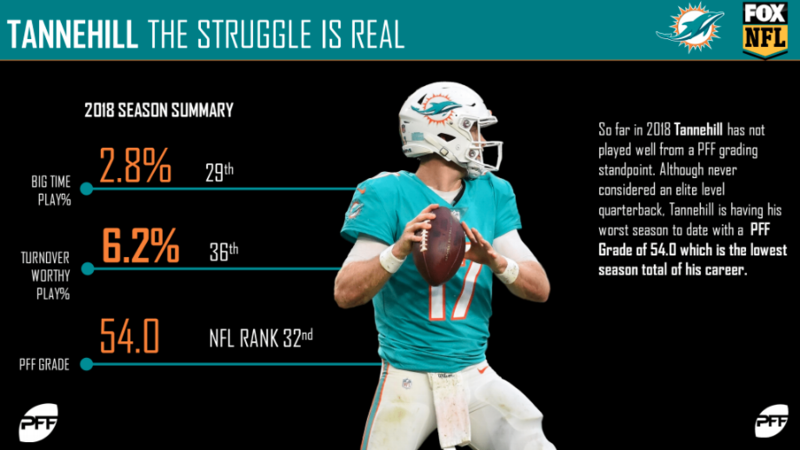 Ryan Tannehill is having major struggles this season, and so far, his efforts have earned the lowest grade of his NFL career. Through five weeks, he’s struggled with turnover-worthy plays, as his 6.2% turnover-worthy play percentage ranks 36th among qualifying quarterbacks. 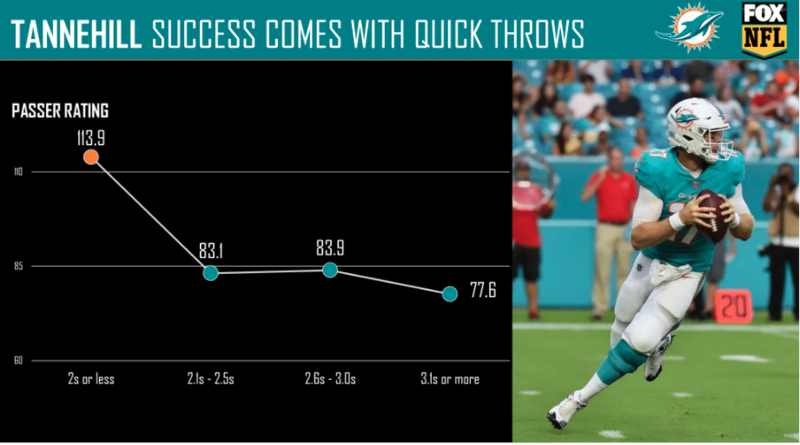 Tannehill has shown promise when utilizing quick throws. He currently has a passer rating of 113.9 when he throws the balls in 2.0 seconds or less. That rating drops to 83.1 when he releases the ball between 2.1 and 2.5 seconds. 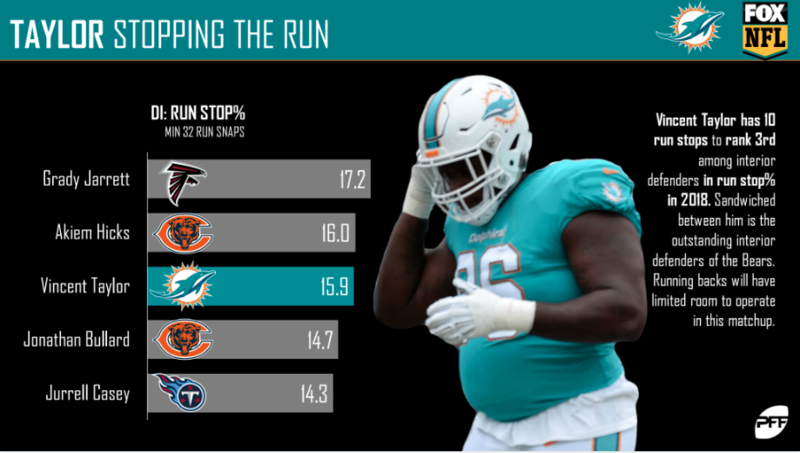 Vincent Taylor has been an absolute monster against the run this season, notching ten total run stops. Taylor ranks third among qualifying interior defensive lineman in run stop percentage at 15.9%. 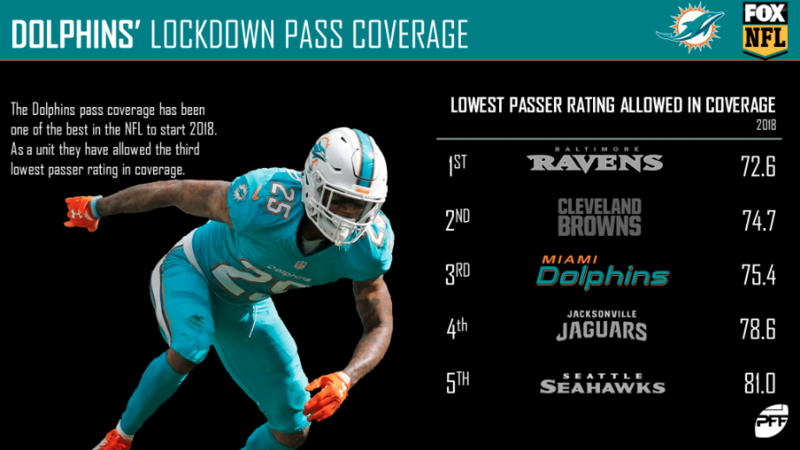 The Dolphins pass coverage has been among the leagues best to start the season. As a unit, they have allowed only a 75.4 passer rating in coverage, which is the third-lowest mark among teams. 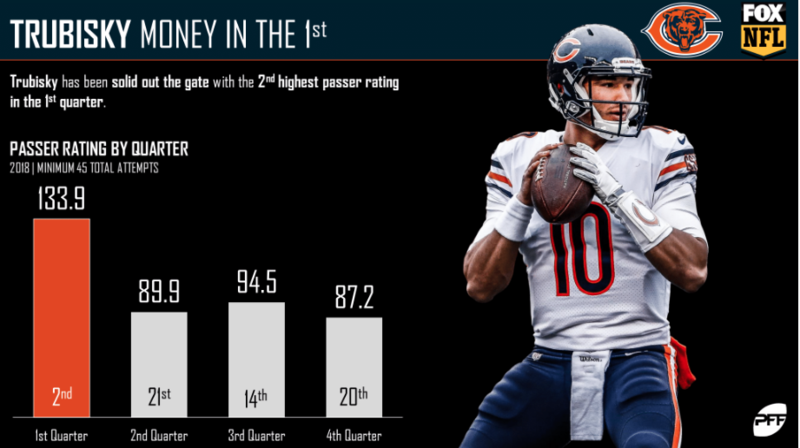 Mitchell Trubisky is currently among the league’s elite when it comes to passer rating in the first quarter. His 133.9 passer rating is second among all quarterbacks with at least 45 pass attempts in the first quarter. 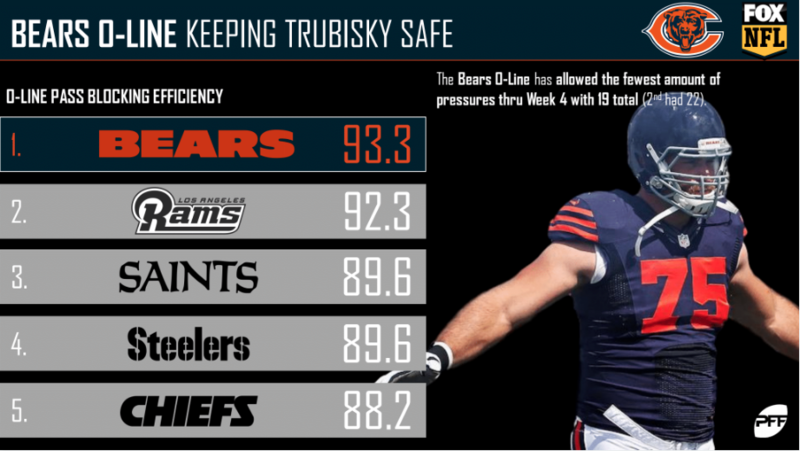 The Bears offensive line has been mightily impressive. They’ve allowed only 19 total pressures through Week 4, the fewest in the NFL. They currently sit atop all offensive lines with a pass-blocking efficiency of 93.3. 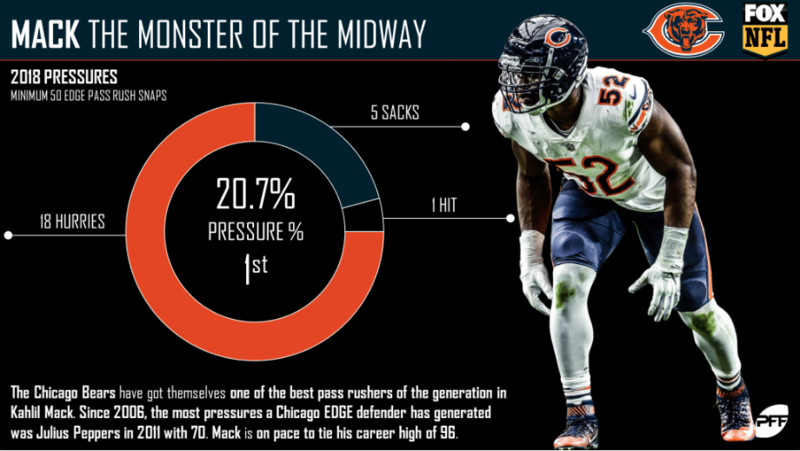 In case you haven’t heard, Khalil Mack is good. Through five weeks, he leads all edge defenders with a pressure percentage of 20.7%. The Dolphins offensive line better be up for a tough fight. 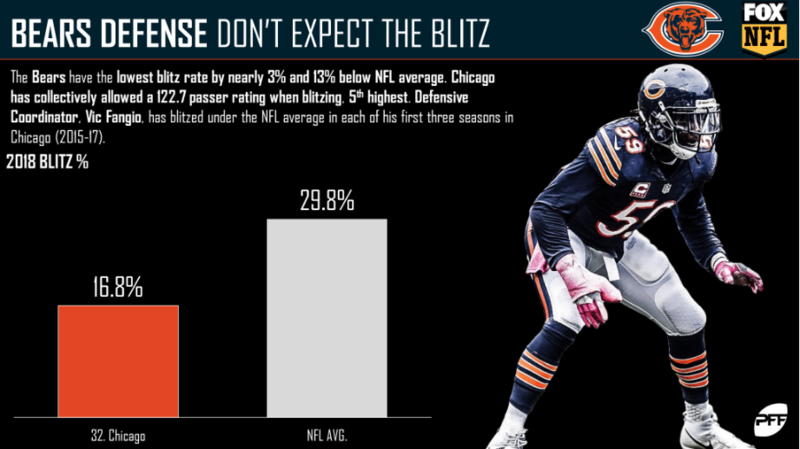 The Bears have the lowest blitz rate in the NFL by nearly 3%. Their blitz rate of 16.8% is an eye-opening 13% below NFL average. 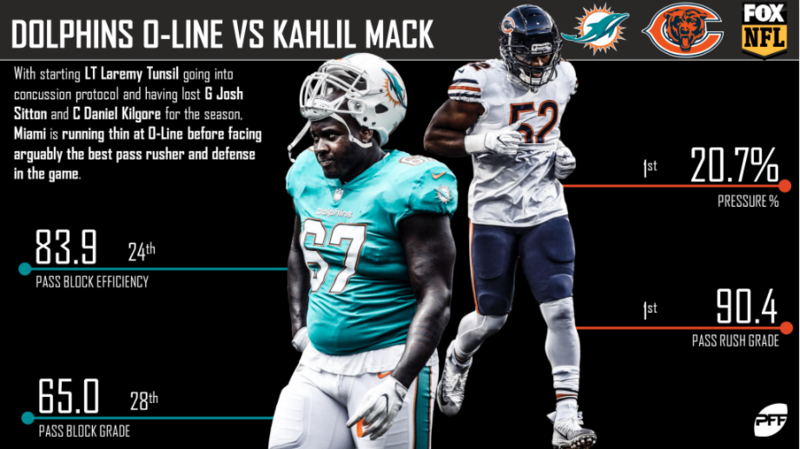 PFF Greenline has projections for the spread, moneyline and over/under of the Bears’ matchup with the Dolphins. Get its picks here.